SpicePress has its own unique way to display a gallery: a carousel on the Homepage! See below how to add it to your Homepage and how to add/edit content in your gallery. Enable gallery on homepage: Hide/Show your Gallery section on your Homepage. Title: Add the title for your Gallery. Description: Add the description for your Gallery. Title: Add a name or title for your image. Link: Provide an optional link for this image. Open link in new tab: Set your preference for the image link to open in new or current tab. Image: Upload your gallery image. 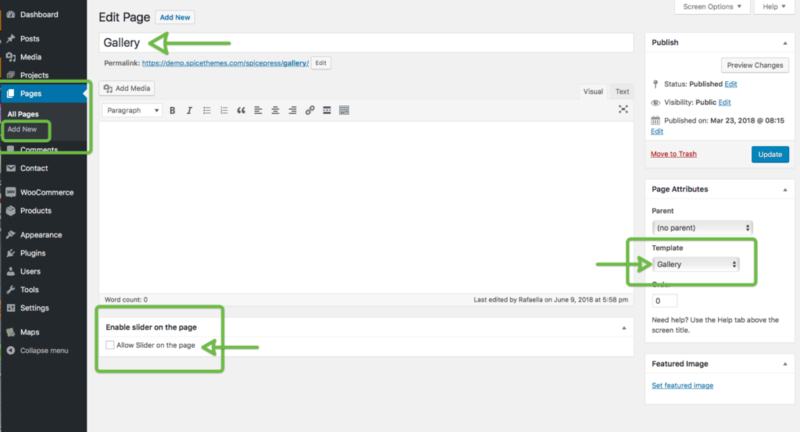 In your WP Admin Panel, head over to Appearance => Customize > Theme Layout Manager. 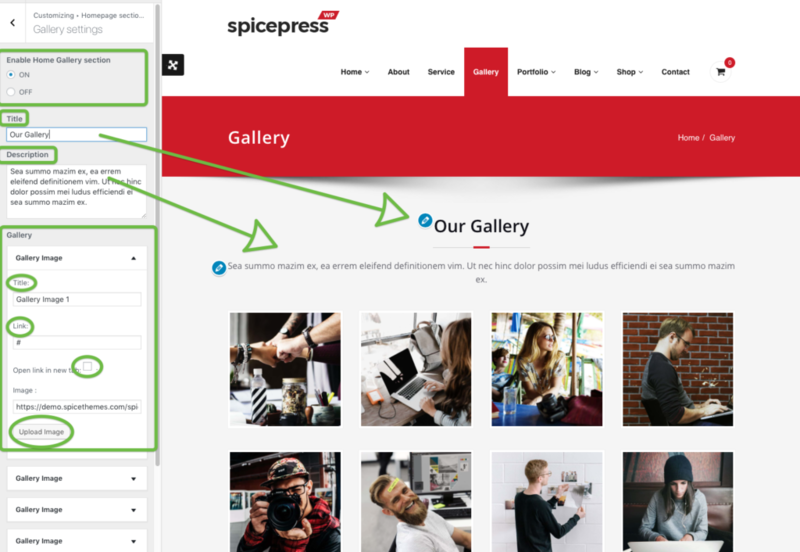 Here you can disable the Gallery section of the homepage just by dragging the relative button to the “Disable” field.